Street Fire. 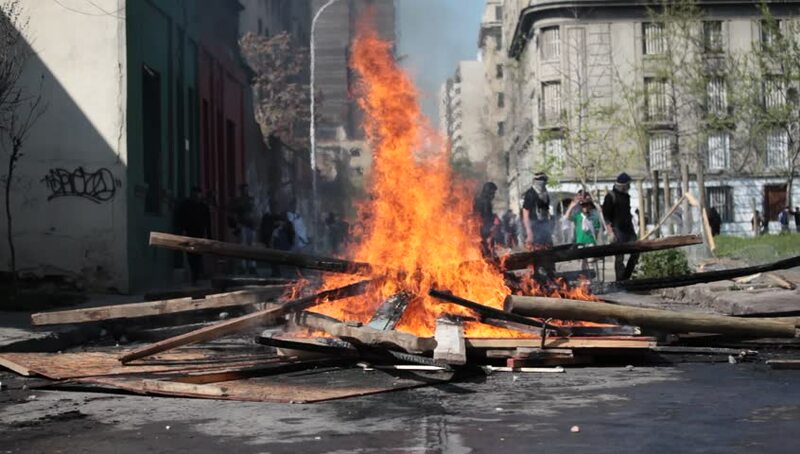 Street damage caused during a student strike on September 22, 2011 in Santiago, Chile. Protesters demand the government to improve education quality. hd00:30Thai Blacksmith an old community occupation which still exists. hd00:12SANTIAGO, CHILE - SEPTEMBER 22: Street damage caused during a student strike on September 22, 2011 in Santiago, Chile. Protesters demand the government to improve education quality. hd00:23 a traditional Hindu cremation ceremony in Pashupatinath, Nepal.